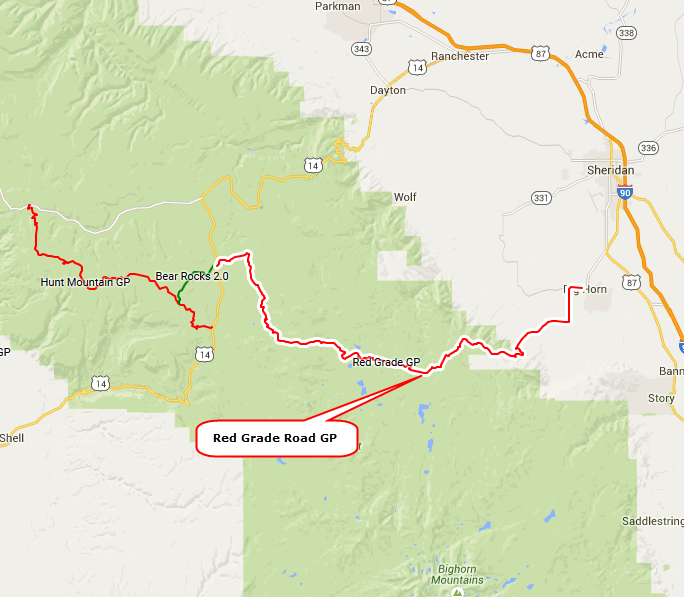 We were not very excited about the Red Grade Road. 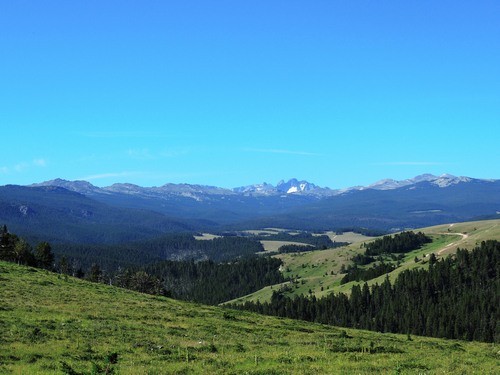 It climbs steeply out of the valley to 7,000' then continues climbing to near 9,000' near the end. There is a nice open stretch shortly after the steep climb, but after that it mostly just a road through the trees. The remnants of an old splash dam are near the road. 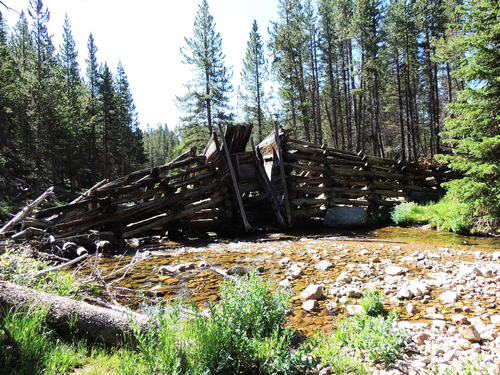 Water was stored in the splash dam and railroad ties were dragged into the creek below it. When conditions were right, the gate was open and ties were flushed down to small ponds near a flume entrance. The flume led to Dayton, WY. Ties were reported to travel nearly 80 miles per hour. We do not know if any of the old flume still exists. Read more here.